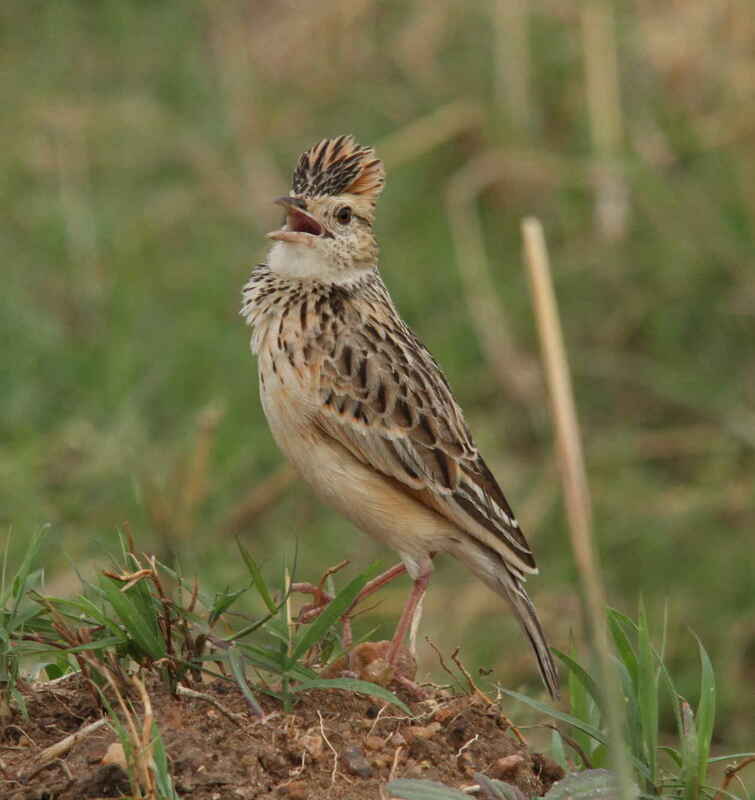 A group of us had been attending a “Exploring Kenyan Biodiversity” workshop at the Greta rift Valley lodge and decided to follow that up with a two-night visit to the Masai Mara. We left the Rift valley around 11 am and then had a rather long 7 hour and at the end rather bumpy drive to the Sopa Lodge, at the border of the Masai Mara game reserve. A really nice lodge, though I have my concerns about the impact of lodges on the environment and positive economic effects on the local community (a concern I have across Africa). What a start to the day that was, not much could beat it, or could it? 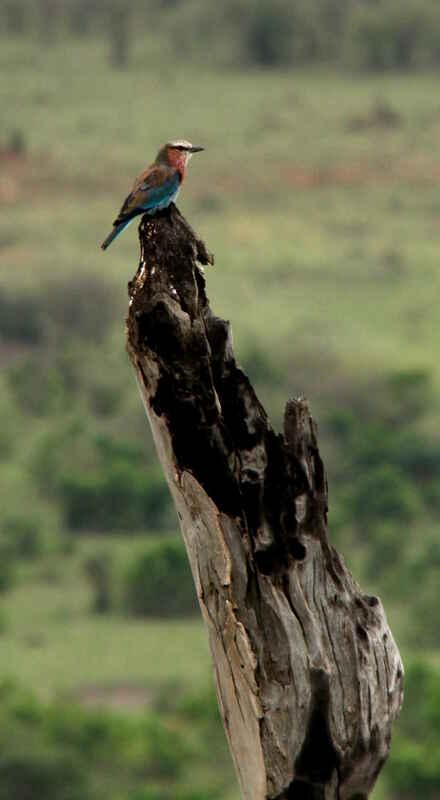 The Masai Mara, with its great plains, absolutely teems with wildlife, both in numbers and species. 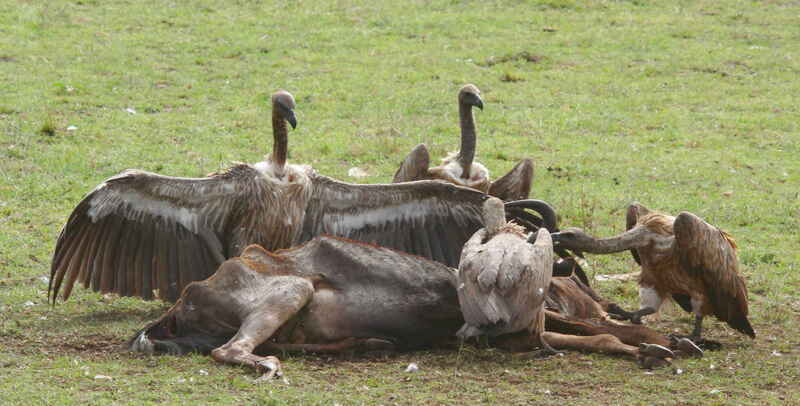 Wildebeest herds contained hundreds of animals, and were usually found with either zebra or Thomson’s gazelle. 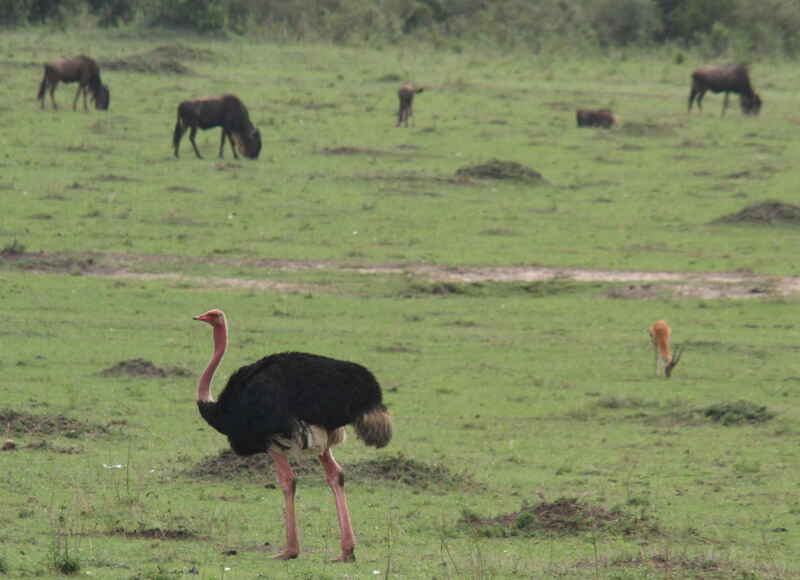 All-in-all, in Kenya we saw all of the Big Five (African lion, African elephant, Cape buffalo, African leopard, and rhinoceros, the latter in Lake Nakuru national park) and Ugly Five (hyena, wildebeest, vulture, warthog and the marabou stork) and Big Six Birds (Lappet-faced Vulture, Kori Bustard & Southern Ground Hornbill) . My next target may be the Shy Five, probably the Impossible Five is a step too far (http://roarafrica.blogspot.co.uk/2008/06/big-five-big-seven-little-five-big-six.html; https://www.senseafrica.co.uk/big-5-little-5-ugly-5-shy-5-and-impossible-5/). As regards birds, we probably saw 80 different species on the trip, that’s what I am told. 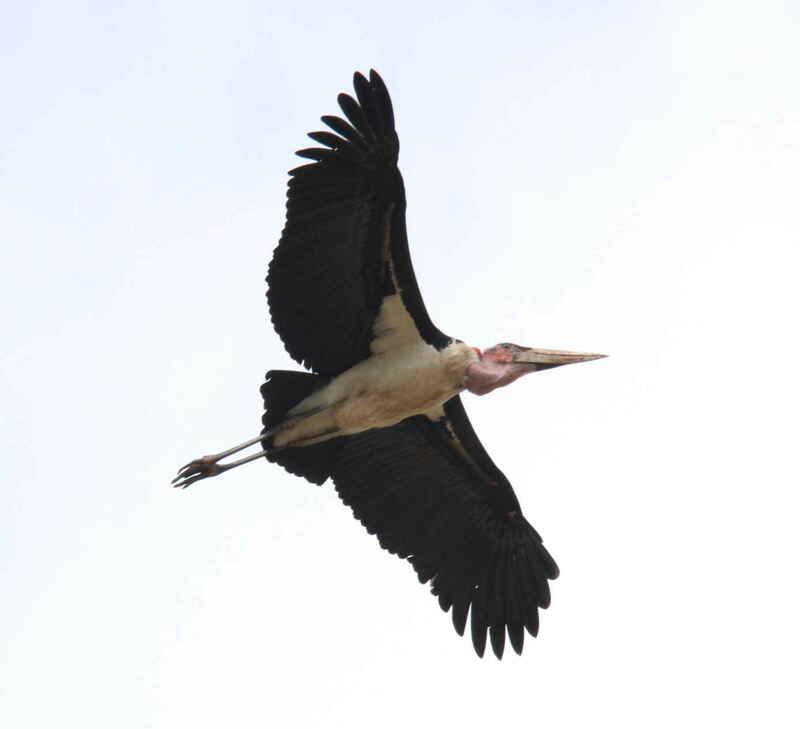 Several species of vultures, eagles (Bataleur, Tawny and Brown Snake Eagle), male and female ostrich, storks and kingfisher being just a few examples. 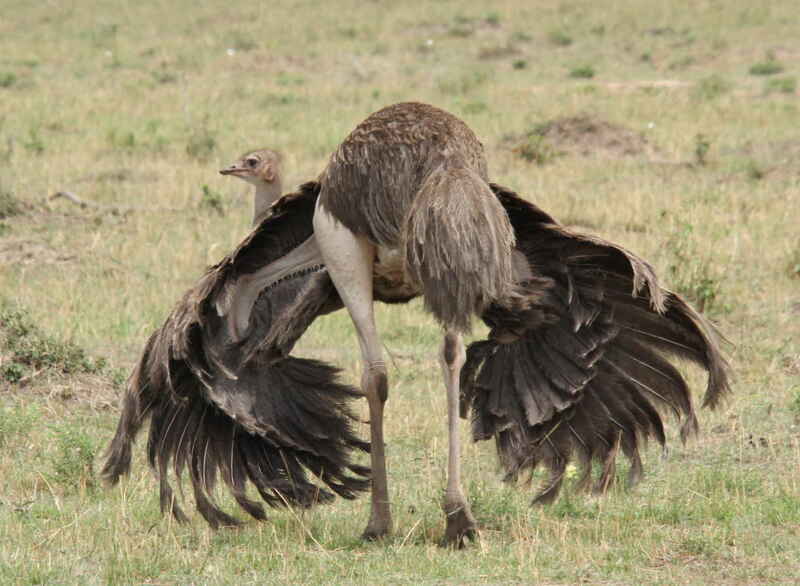 The male ostrich were unusual in having pink-coloured legs, while several of the female ostrich did the “scaring away” dance. We saw three prides of lion, interestingly all females in groups of 4, 3 & 4 (next day we only saw males). Also, three separate herds of elephant (10, 8 & 7 elephants). And then, treat of the day and trip: two separate leopards, high up in the trees. Our guides had been active on the radios and Erastus spotted an old carcass in a tree. I thought, well, that’s the closest i will get to a leopard, then we saw one and a few minutes later another one. It was a bit of a crazy queue to get a good photo, we got there in the end. Time to relax a bit and have some lunch, before we headed to the Mara river. Hi Alfred Thumster.My name is Leakey from http://www.smartpassiveincomekenya.com a kenyan site that unites bloggers we’re a creating a platform like Quora in our site where a question is issued to participating bloggers and they write their own views.We’ve also seen this as a way to grow our blog readerships we as bloggers you inclusive and we would like you to join.If willing of which you expect you to be and we’re happy for that send “I ACCEPT”to “smartpassiveincomekenya@gmail.com”.Lets meet on the other side.